BSM: About your retirement – you’ve said you’re unhappy with the direction that MotoGP is headed. If it returns to a format you’re happy with, would you return? 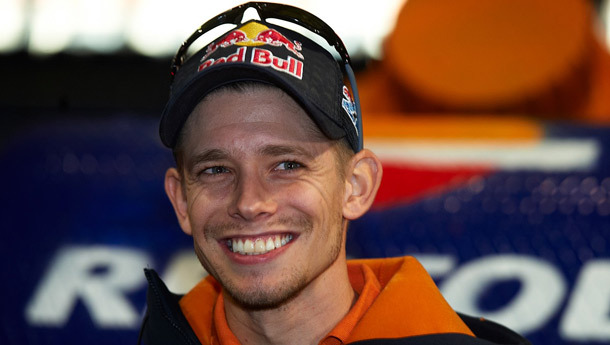 Casey Stoner: Never say never, but this isn’t something I’m looking for. I think it would take a severe change for me to come back into this championship, perhaps 750cc two-stroke bikes or something! At the moment, it’s not something I’m considering. BSM: How much are you looking forward to life without MotoGP? CS: It’s not so much life without MotoGP, as I’m sure I’ll miss riding the bikes and will certainly miss a lot of friends and colleagues I’ve made in the sport over the years. There is a very big part of it I won’t miss, the PR and media side of things. For me this has taken over the sport and taken over the enjoyment. It’s become more about this and less about racing and that’s a very sad situation. BSM: What’s been your favourite race so far? And for what reasons? CS: There have been a few races that stand out in my career, but I’d have to say that Phillip Island last year is still my favourite. Not just the race itself but the whole weekend, celebrating my fifth win in a row at my home circuit and clinching the championship title there with Honda on my 26th birthday was an incredible series of events to experience. I’m sure not many other people will ever be able to encounter such a day! CS: For sure the Phillip Island race and a few other races last year, such as Laguna Seca – that was pretty special also. Then after the championship I flew to Japan to visit HRC with all my crew which was something I’ll never forget. It was great to see all the Honda people who worked so hard last season to help give me a bike to challenge for the Championship with. It was great to see how much that win meant to them all. BSM: Are you friends with the other racers? BSM: Would you consider setting up a racing school in the future? CS: I’m not sure. I might be interested in supporting some young riders if we find some with the talent and right attitude – we’ll have to wait and see. BSM: Your opinion on Valentino Rossi at Ducati? Is the Desmosedici really a handful? CS: Yes it is a handful to ride, but it demands you adapt to the bike. They’ve been through so many chassis and changes now, they must realise that now it’s in set up and down to the rider. BSM: How did you manage to tame what appears to be a wild motorcycle – the Ducati? And what is the Honda like? CS: They are very different and it wasn’t ‘taming a wild motorcycle’, I adapted my style to ride the Ducati. It was difficult and if we didn’t find exactly the right set up it was sometimes impossible to ride, there wasn’t much margin. With the Honda it’s totally different. BSM: Would you consider taking up other forms of motorsport? CS: For a few years now I’ve expressed my interest in V8 Supercars in Australia, but this isn’t going to happen in the near future, if it happens at all. I’m focused on finishing this season in MotoGP as strong as possible and then we’ll see how we feel and work out what’s next. BSM: What’s your favourite track and why? CS: I’d still probably say that Phillip Island is my favourite track. The fast sweeping corners and the many track characteristics make it very special. BSM: Can you give us one tip for cornering a motorcycle at speed? throw you off. So take some lessons before trying anything like this on the track! BSM: You’ve had a good start to 2012. 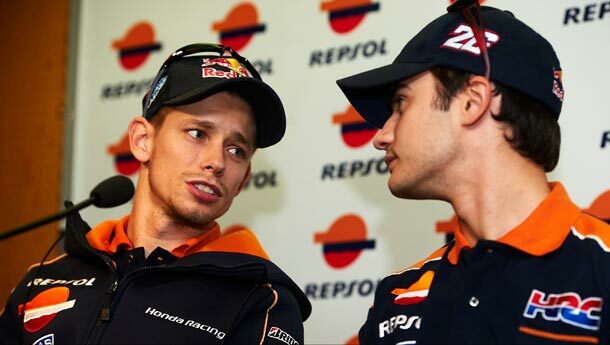 But Stoner and Lorenzo seem to be stronger than ever. How do you plan on getting the edge over them? 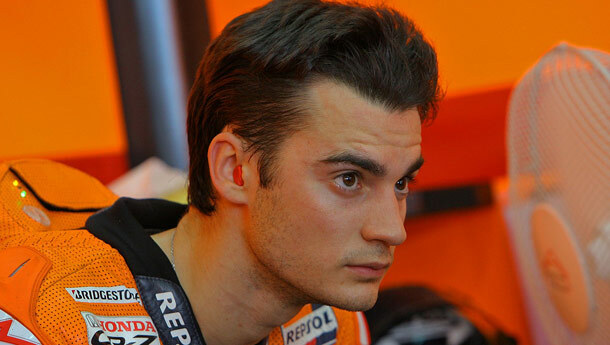 Dani Pedrosa: There is only one plan – to be as fast as possible every race weekend and very consistent on the results. The level in MotoGP is very high and the results have proved after the first five races of the season that Lorenzo, Casey and me are one step ahead of the others. We have to keep working hard to keep this level up and don’t do any mistake because all details count. We’ve been very close to win in some races, but we couldn’t make it yet for one thing or the other, so we need to start winning races as soon as possible. 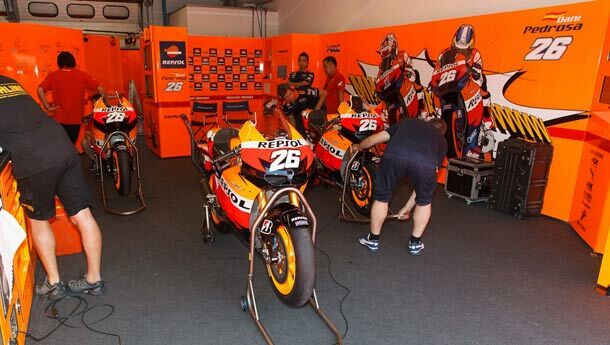 BSM: Does the 2012 RCV have issues that are yet to be sorted out? DP: Yes, we still have some issues in braking and exit of the corners. The chattering is something that is annoying us as well and it depends on the circuit we struggle more or less, but it’s always there. If we can fix this issue, we will be able to do a big step forward. BSM: What about the Honda package? DP: I think we have a good bike in general and I’m having more fun with my Honda RC213V 1000cc than I had with the 800cc. I like bikes with more torque, when you can control the power with the throttle. As I said, we cannot relax because our rivals are also strong, but our base is good and we just need to keep working in some details. BSM: What has been your favourite memory in MotoGP so far? DP: I’ve got plenty of good memories in the premier class, but if I have to choose I would say probably three: my first podium at Jerez circuit, in my race debut in MotoGP in 2006; my first win in China, in the fourth race in MotoGP, and last year in Estoril, when I was back just after the first surgery on my collarbone and we managed to win the race. BSM: What do you think of Casey leaving MotoGP this year? Does it change things for you and the team? I understand his feeling because last year, after the bad crash I had in Le Mans, I was also thinking about stopping, in the first days in hospital I was not willing to go back, but fortunately this feeling was short and I realised that to ride a bike is my big passion and I could carry on and recover. It’s a pity because we will lose one of the biggest talents in this sports, but it’s his personal choice. In the other hand, his decision will not affect me. I race thinking on myself, I’m the first one who want to win for myself and honestly I believe I will not have any problem to have a ride. BSM: You’ve had a fantastic career with Honda so far. Would you like to see out your career with them too? DP: Yes. 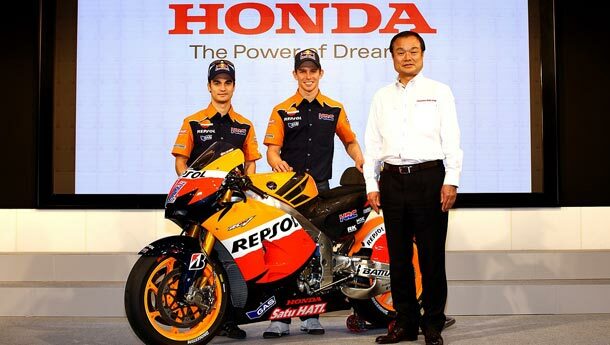 I would love to stay in the HRC Factory Team, the Repsol Honda Team, because I have been riding for Honda during all my career, with Honda I won three titles and this is a project that we started all together and I would like to finish it with the same people that have been working with me for a long time. But if the market moves in another direction, we have to be also ready. DP: I would say Jerez because for a Spanish rider racing in Spain is amazing, the atmosphere is great and in Jerez you can really feel the support of the people because they are very close to the track. I like also the Twin Ring Motegi in Japan, because of its particular layout. BSM: Do you ride off the racetrack often? DP: Yes, I’ve got a Honda Silver Wing, a big scooter and I use it quite a lot because it’s easier to move in the city.